Just about every day we hear about a new Exoplanet that's been found out there in the galaxy. Occasionally we'll hear about new propulsion systems that are being worked on in order to get us out there. Sure, we've not yet made it to Mars with a manned mission, but that time will come. Then it'll be further out into the solar system, then out into the galaxy. 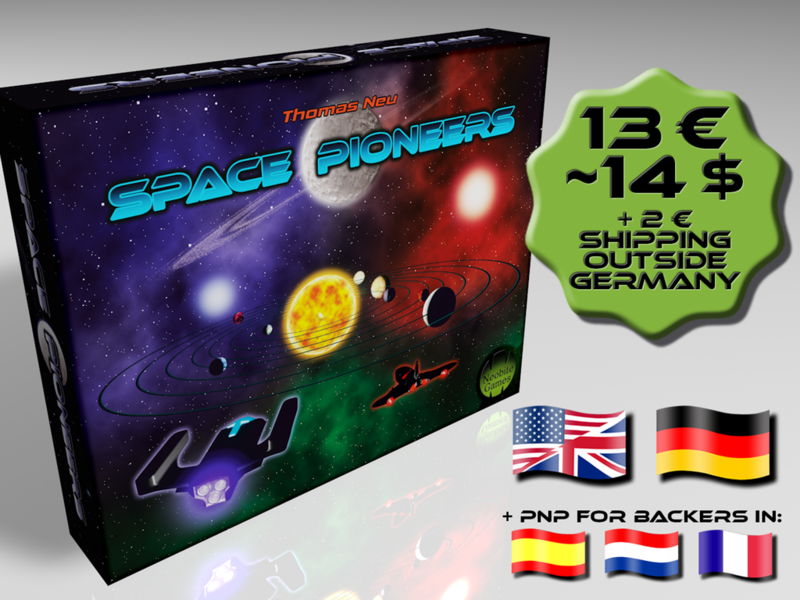 Well, Space Pioneers, a new card game up on Kickstarter, lets you play out the future where humanity is creating supply lines between these far-flung planets. In this competitive card game, players are trying to build up supply networks to the various planets across the galaxy. Do this by placing a connecting spaceship and planet cards. You're trying to create the best and most efficient routes, while also trying to complete secret missions. All of this gets you more points, which you want the most of if you want to be the winner. The campaign is up and running now and is about 1/2 funded with still 19 days left to go.